A large part of the returns have come from two factors. First, Amazon has vastly expanded its reach. What originally was just an online bookseller now has its hands in everything from cloud computing to online media to groceries. And its shadow is even larger. A potential entry by Amazon has rattled pharmacy stocks and medical distributors, among others. Secondly, as a stock, AMZN has managed the feat of keeping a growth stock valuation for over two decades. I’ve long argued that investors can’t focus solely on the company’s high P/E ratio to value Amazon stock. But however wise an investor might the current multiple is, the market has assigned a substantial premium to AMZN stock for over 20 years now. It’s an impressive combination — and one that’s likely impossible, or close, to duplicate. But these five stocks have the potential to at least replicate parts of the Amazon formula. All five have years, if not decades, of growth ahead. New market opportunities abound. And while I’m not predicting that any will rise 100,000% — or 1,000% — these five stocks do have the potential for impressive long-term gains. JD.com Inc(ADR) (NASDAQ:JD) is the company closest to following Amazon’s model. While rival Alibaba Group Holdings Ltd (NYSE:BABA) gets most of the attention, it’s JD.com that truly should be called the “Amazon of China,” as Will Healy pointed out in December. Like Amazon (and unlike Alibaba), JD.com holds inventory and is investing in a cutting-edge supply chain. It, too, is expanding into grocery, like Amazon did with its acquisition of Whole Foods Market. A partnership with Walmart Inc (NYSE:WMT) should further help its off-line ambitions. JD.com even is cautiously entering the finance industry. That ability to both provide best-in-class logistics and satisfy a wide range of customer needs is what has made Amazon a success. And while JD may not rise to the scale of Amazon, at its current valuation it doesn’t have to. After a recent pullback, JD trades at less than 26x forward EPS. That’s despite 40% revenue growth in 2017, and expectations for a 30% increase in 2018. And it sets up a scenario where JD stock could — if sentiment finally turns in its favor for good — appreciate for years, thanks to both strong bottom-line growth and an expanding multiple from optimistic investors. Admittedly, I personally am not the biggest fan of Square Inc (NYSE:SQ) stock. I like Square as a company, but I’ve questioned just how much growth is priced into SQ already. In 10 years, Square is likely to be a very different company helped by accelerating share gains from payment peers and relentless disruption of services like payroll and human resources. Just as Amazon used books to expand into e-commerce, and then e-commerce to expand into other areas, Square can do the same with its payment business. The small business space is ripe for disruption, as Dolev points out. Integrating payments into payroll, HR, and other offerings would dramatically expand Square’s addressable market – and lead to a potential decade or more of exceptional growth. Again, I do question whether that growth is priced in, with SQ trading at ~about 12x the company’s 2018 guidance for “adjusted” revenue. But if — again, like AMZN — Square stock can combine a high multiple with consistent, impressive, expansion, it has the path to create substantial value for shareholders over the next five to 10 years. E-commerce provider Shopify Inc (NYSE:SHOP) probably doesn’t have quite the same opportunity for expansion as Square. And it too has a hefty valuation, along with a continuing bear raid from short seller Citron Research. But I’ve remained bullish on SHOP stock — and here, too, a recent pullback presents a buying opportunity. Shopify is dominant in its market of offering turnkey e-commerce services to small businesses. That’s exactly where consumer preferences are headed: small and unique over large and bland. And because of offerings like Shopify (and Amazon Web Services), those small to mid-sized businesses can compete with the giants. Meanwhile, Shopify does have the potential to expand its reach. Just 29% of revenue comes from overseas, a proportion that should grow over time. It’s moving toward capturing larger customers as well through its “Plus” program, picking up Ford Motor Company (NYSE:F) as one key client. The development of an ecosystem for suppliers and the addition of new technologies (like virtual reality) give Shopify the ability to offer more value to customers — and to take more revenue for itself. Like SQ, SHOP is dearly priced. But both companies have an opportunity to grow into their valuations. And given long runways for Shopify’s adjacent markets, it should keep a high multiple for some to come. As a stock, if not quite as a company, SHOP has a real chance to follow the AMZN formula for long-term upside. 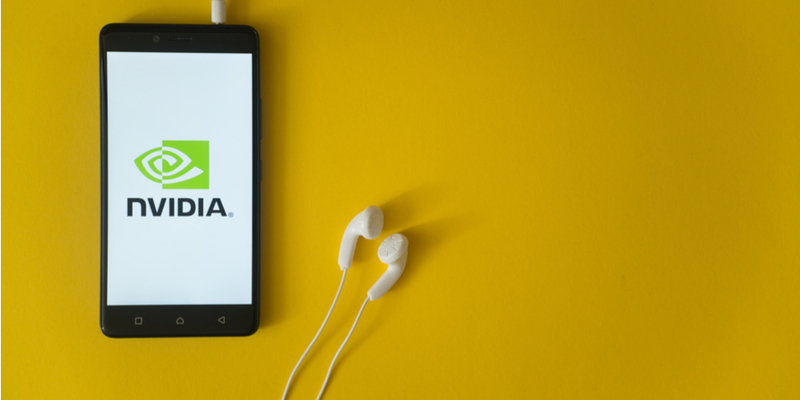 Roku Inc (NASDAQ:ROKU) might have the best chance of any company in the U.S. market to follow Amazon’s strategic playbook. The ROKU stock price is a concern: I wasn’t thrilled about the price after a huge post-earnings gain back in November, and even near a five-month low ROKU isn’t close to cheap. But — perhaps even moreso than Square — Roku now isn’t what Roku is going to be in ten years. The hardware business is a loss leader, but one that allows Roku to serve as the gateway to content for millions of customers. As the company pointed out after Q4 earnings, it’s already the third-largest distributor of content in the U.S. The Roku Channel is seeing increasing viewership. The company offers pinpoint targeting of advertisements — without the messy data problems afflicting Facebook, Inc. (NASDAQ:FB). Roku is becoming increasingly embedded in TVs, though a deal between Amazon and Best Buy Co (NYSE:BBY) raised some fears about those software efforts going forward. It has a plan to roll out home entertainment offerings like speakers and soundbars, creating a long-sought integrated experience. 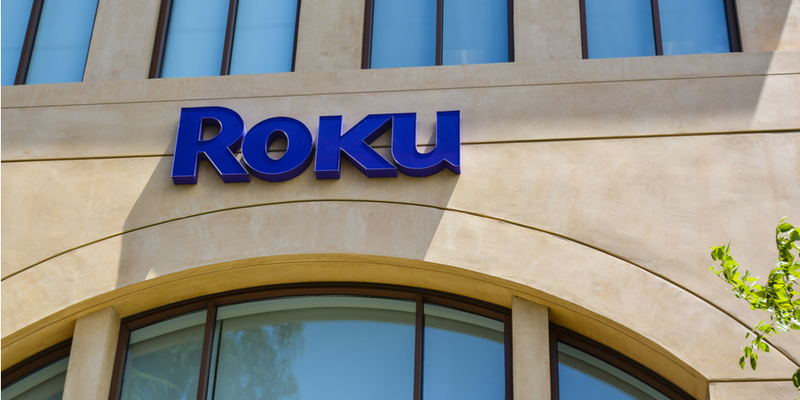 It could even, as it grows, look to develop or acquire content itself, positioning Roku not as just a conduit to Netflix, Inc. (NASDAQ:NFLX) but a rival. The bull case for Roku stock is that its players are like Amazon’s books — a way to garner customers and get a foot in the door of the exceedingly valuable media business. What Roku does now that it has entered will determine the fact of ROKU stock. But the amount of options and a reasonable valuation (Roku’s market cap is barely $3 billion) mean that betting on its strategy could be a lucrative play. In the context of the stocks chosen here, Nvidia Corporation (NASDAQ:NVDA) doesn’t seem particularly expensive. But in the context of the traditionally cyclical — and low-multiple — semiconductor space, a ~34x multiple to 2018 consensus EPS estimates, even backing out net cash, is awfully pricy. And with NVDA up a whopping 1,550% in just the past five years, investors would be forgiven for thinking the run might come to an end. Indeed, NVDA stock hasn’t really moved over the past four-plus months. But the huge amount of secular tailwinds behind Nvidia suggest that the company should be able to drive torrid growth for years to come – and to maintain a multiple that looks rather high on a historical basis. The company’s automotive business gets a fair amount of press, given its potential applications to autonomous driving. But that growth likely won’t come in earnest until the next decade. It’s the datacenter business that looks most appealing in the near term. Revenue in that category more than doubled in 2017. Thanks to cloud providers like AWS, demand should continue for years to come. And with Nvidia taking share from Intel Corporation (NASDAQ:INTC), its growth should be even better than that of the market. High-end gaming demand should rise, and virtual reality will add another tailwind there. Unlike, say, Roku (or early-days Amazon), Nvidia’s growth opportunities are mostly known. But at $223, even with a high multiple, they’re not fully priced in. I still see an easy path to $250 for NVDA in the near term. Longer-term, its presence (if not outright dominance) of key markets should lead Nvidia stock to double, at least. This entry was posted in Best Stocks and tagged AMZN, BABA, BBY, F, FB, GOOGL, INTC, JD, NASDAQ:GOOG, NFLX, NVDA, ROKU, SHOP, SQ, WMT on April 27, 2018 by admin. When it comes to e-commerce, Amazon.com (NASDAQ:AMZN) dominates the discussion. The company reportedly accounted for as much as half of all online sales last year and was responsible for much of the growth.